If you’ve ever looked at the ingredients on your favorite facial cleanser or shampoo, you know how overwhelming and hard to decipher they can be. The difficult-to-read list can sometimes mean turning the other cheek to harmful chemicals, but a really crazy sounding ingredient can often be quite harmless. We’ve enlisted the help of Jeannette Graf, M.D., assistant clinical professor of dermatology at Mount Sinai Medical Center in New York, to help decode the lengthy labels found on beauty products. Once you familiarize yourself with these ingredients, you’ll find that some are useful and effective, but some may be worth steering clear of. When treating melasma or dark spots, this ingredient is the gold standard. “Hydroquinone is a bleaching agent that is your best bet for fading brown spots. Hydroquinone also has antioxidant properties and is a component of glucoside arbutin. It is the most effective skin-lightening agent,” says Dr. Graf. If you’re buying a moisturizer, then definitely be on the lookout for this game-changer for dry skin. “Glycerin is a humectant, a water-attracting moisture magnet which draws moisture into the skin. A moisturizer with glycerin as an ingredient will be particularly helpful at easing dryness,” says Graf. “Phthalates are plasticizers — they are used to make plastics softer. They are considered to be no-nos because they are potentially carcinogenic,” says Graf. 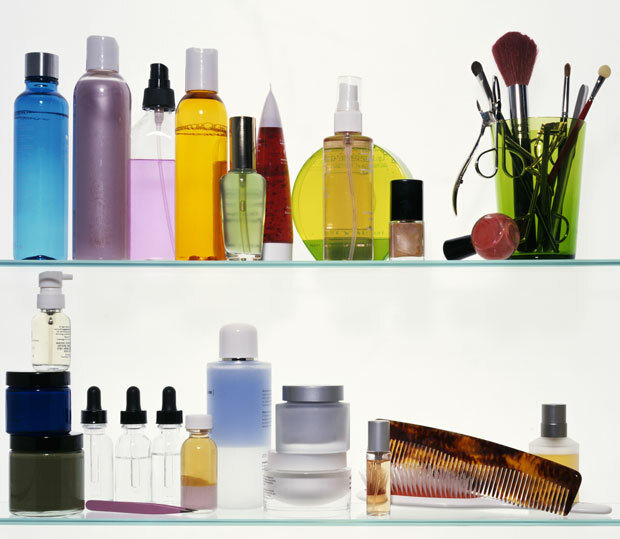 We’ve seen this group of chemicals lurking in nail polishes, soaps and hairsprays. Steer clear! “Lycopene is naturally occurring and is the phytochemical that gives fruits and vegetables their red color. It is also a powerful antioxidant that is more potent than beta-carotene and lutein,” says Graf. Lycopene has gentle lightening effects and can benefit all skin types, especially those with pigmentation and sun damage. These detergents are used in cleansing formulas and are very popular in products like shampoo and face wash, which generate a lather (a property of sulfates). They’re actually very harsh and strip the skin of oil, which leads to loss of hydration or dry, brittle hair. Luckily, many companies are doing away with sulfates, but look out for ingredients ending in sulfate (like sodium lauryl sulfate or ammonium laureth sulfate). “The term ‘natural’ is a loose definition that doesn’t mean much when it comes to beauty labels. It doesn’t say anything to its natural side or how it was grown, whether pesticides were used, etc. Whereas ‘organic’ is much stricter as it speaks to where something is grown and the conditions in which it was grown. Recently, organizations like OASIS (Organic and Sustainable Industry Standards) have been setting the bar on providing standards and promoting products that are organic and sustainable,” says Graf.